"I hadn't painted in almost twenty years," says Robert Kane Herrera. 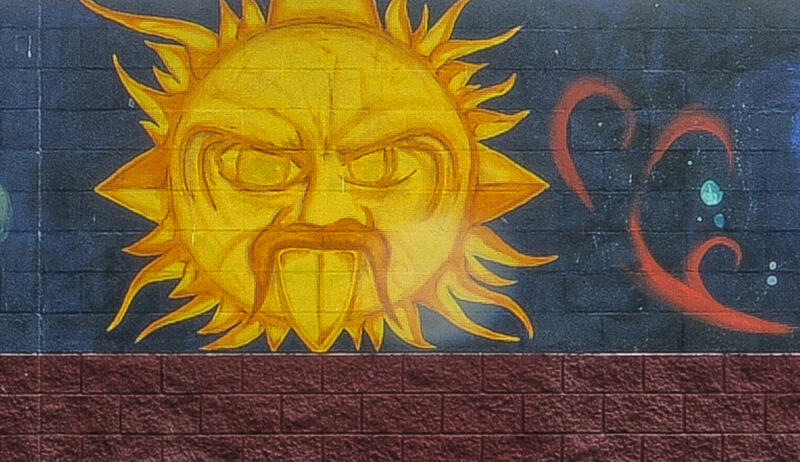 "[For La Raza] was.. one of the last murals I ever painted." Together with fellow artist Oscar Cortez, Herrera created For La Raza in 1992. This year, the two were hired by Austin's Art in Public Places Program to restore the beloved eastside mural. Twenty years ago, with a young but growing family, Herrera stopped painting to pursue steadier and better-paying work as electrician. Now that his kids are older, he's got a little more time in his schedule to get back to his artistic roots. "I get to be me again," he says. "Or at least who I thought I was." Herrera and Cortez were both happy to revisit their mural with some more life experience under their belts. "Doing it twenty-whatever years later, with more experience, more understanding of the art itself -- man, it was great," says Ortez. They're also glad to get to use better paints this time around. "At that time, it was still -- it was spray paint, what we used," says Herrera. "And of course the quality of the paint was not [high], so it started to burn or fad in the first year." This restoration job was almost a complete re-painting of the mural; the original was too damaged to apply new paint to. "We actually took the original down and applied a whole new mural," Hernandez says. "Aesthetic wise, it's [the same],"he says. "But materials and just the depth of the application is just a lot better." Repainting the mural allowed the artists to connect with the community, too. "When we were restoring the mural, people would stop and they'd be amazed and they'd want to talk and get information," Herrera says. "It belongs to the community. We can say we painted the mural, but it's not our mural. It's the community's mural." Art in Public Places will host a public event to celebrate the restoration of 'For La Raza' on July 21, from 11:00 am - 1:00 pm. 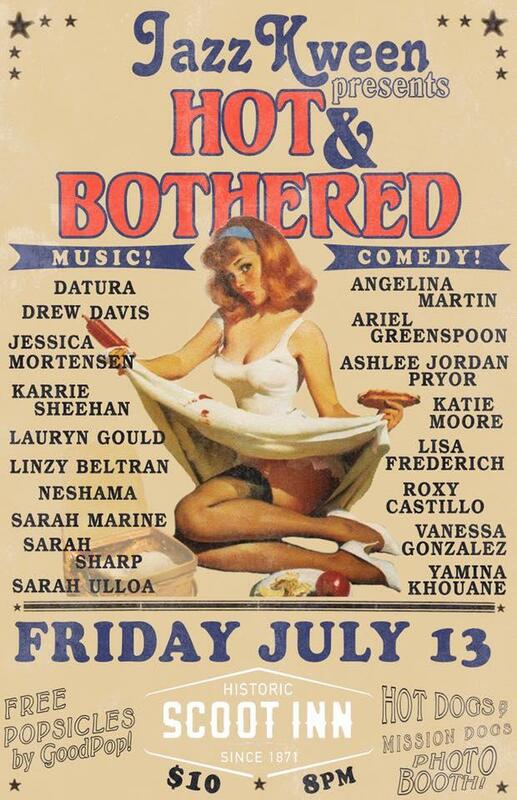 "We initially came up with the idea just as a joke," says producer/performer Linzy Beltran, who created the female-led jazz and comedy show Jazz Kween with Sarah Marine and Jessica Pyrdsa. "We were like, 'Oh, we should be Jazz Queens' ... because Sarah's from New Orleans and Jess is a musician and I do a lot of comedy in town." 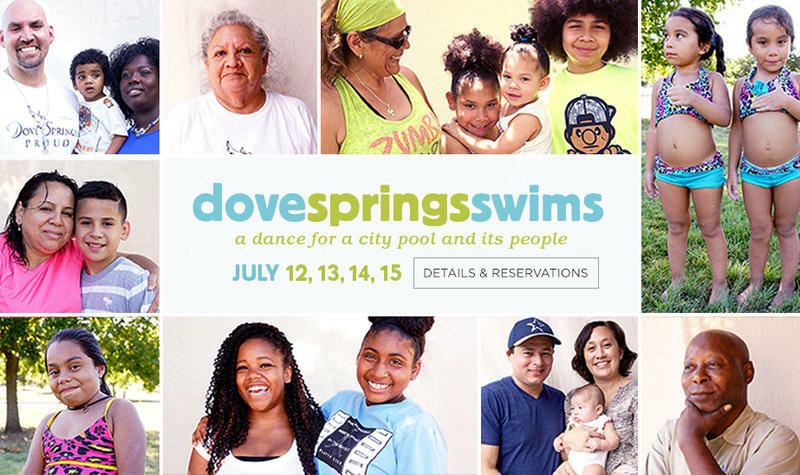 "It's the second in a trilogy of dances with Austin Aquatics," says Forklift Danceworks artistic director Allison Orr, speaking about this weekend's production of Dove Springs Swims. 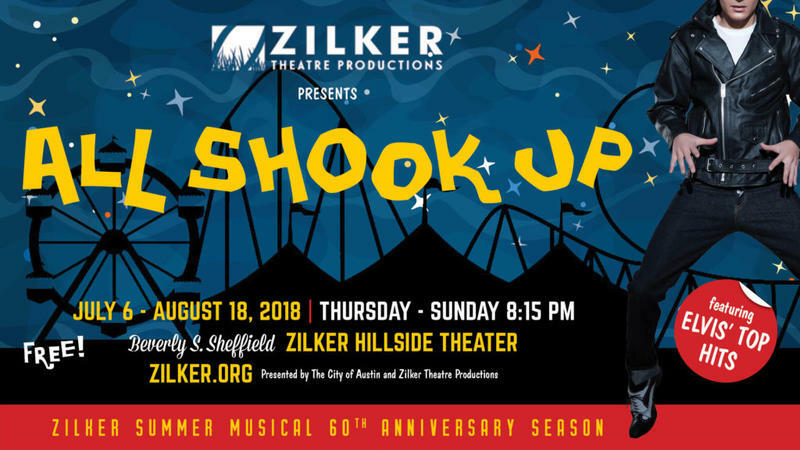 Last summer, Forklift partnered with the city's aquatics division to present Bartholomew Swims, and next summer they'll stage a third performance at a yet-to-be-named east Austin pool.